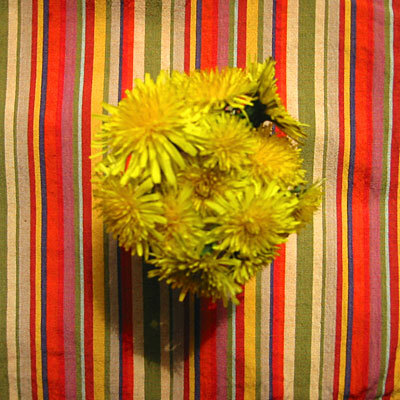 You are viewing Hug a Dandelion Today which is posted in the miscellaneous category. Often thought of as a nuisance, I find the dandelion to be a very graceful addition to the lawn. And a gutsy flower to be sure. Long leaves catch water and funnel it to the center of the flower, sending nutrients to the root and assuring its prosperity. This tough plant can survive between sidewalk cracks, dumpsters and on roadsides as well as more plush sites like farms, lawns and gardens. 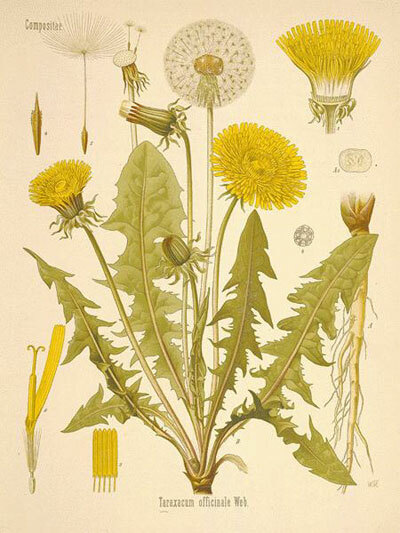 When it rains, the dandelion protects itself by closing its whole head up at once. The name stems from a corruption of the French "dent de lion" or teeth of the lion because of its menacing-looking leaves. Once matured, all the florets close up again within the green sheathing and the bloom returns to the appearance it had in the bud. Its shape is then reminiscent of the snout of a pig. And it can get you drunk. The leaves can be made into Herb Beer.